Amazon launched Amazon Echo earlier. It costs nearly $180 and comes along with features like internet connectivity, voice reply facility, stream for music and insert items to shopping list. More than this, the device was much liked by people all around the world. That’s why it received more than 33,000 reviews and acquired a rating of 4.5 stars on Amazon Website. But the price tag of $180 is quite high for a speaker. That’s why Amazon had think over and launched two economy model named Amazon Tap and Amazon Echo Dot. Both the speakers are enhanced by Alexa. With the support of Tap and Echo Dot, Alexa is supposed to open its competition to Apple Siri, Cortana from Microsoft and Search Engine from Google.But Alexa got its recognition when Amazon joined and launched Amazon Echo. Now they have launched two more devices namely Amazon Echo Dot and Tap. Amazon Tap measures to be 6.25 inches. 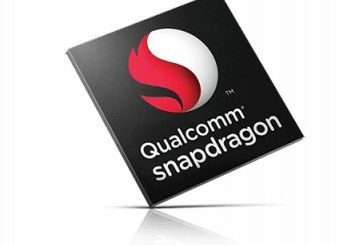 Another variant is also launched with 9.25 inches. 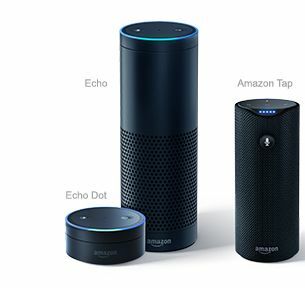 When compared to Amazon Echo, Amazon Tap is comparatively smaller and less specced device. The device is featured by Bluetooth connectivity as well as WiFi connectivity. Amazon Echo used to listen to what users say. But when it comes to Amazon Tap, it doesn’t listen to what users say to it directly. But it will listen to those who say something to it after tapping on the microphone button on your smartphone. This makes the handling of Amazon Tap quite difficult. Unlike Amazon Echo, Tap is a portable device which can be easily carried and placed anywhere you like. This particular device is designed in such a way that it can guarantee 3600 audio, which will provide an all-round sound effect. Amazon Echo is equipped with battery which could deliver a battery back-up for nearly 9 hours. The device is tagged with a price of $130, which makes it cheaper than $180 Amazon Echo. Amazon launched Echo Dot with smaller shell than Amazon Echo. Even though the size shrunk, Amazon Echo Dot is tent to provide services which are already provided by Amazon Echo.Amazon Echo Dot is featured with Far-Field Voice Recognition, which would allow you to converse with Echo Dot even from another room. But unfortunately it doesn’t deliver the same sound quality as its predecessor does.Echo Dot is equipped with an in-built speaker which could be linked with other speakers with the help of Audio Cable or Bluetooth Connection. Users are allowed to include Alexa Voice Assistant facilities to other speakers you have already connected with Echo Dot.Echo Dot functions like a voice controlled substitute to Chromecast Audio. The device is already available for sale at Amazon website. The device is tagged with a price of $90. Amazon also confirmed that the shipments will be started from the end of this month.